"Classy Live Music For Your Special Event"
A touch of sax is an easy listening, classy live music experience, exquisitely performed on the saxophone by Michael Kleid. The songlist is a very diversified compilation of essentially popular songs from yesterday and today. Genres including Motown, standards, classic rock, contemporary hits, R & B, and smooth jazz. Michael has a repertoire of over 250 songs, suitable for all ages. The backround music tracks are masterfully engineered and recorded with real musicians, so they actually sound like a live band, so when combined with that melodic, soulful sax, you get the big, full orchestra sound without the cost of a real orchestra. Michael is a talented musical chameleon. 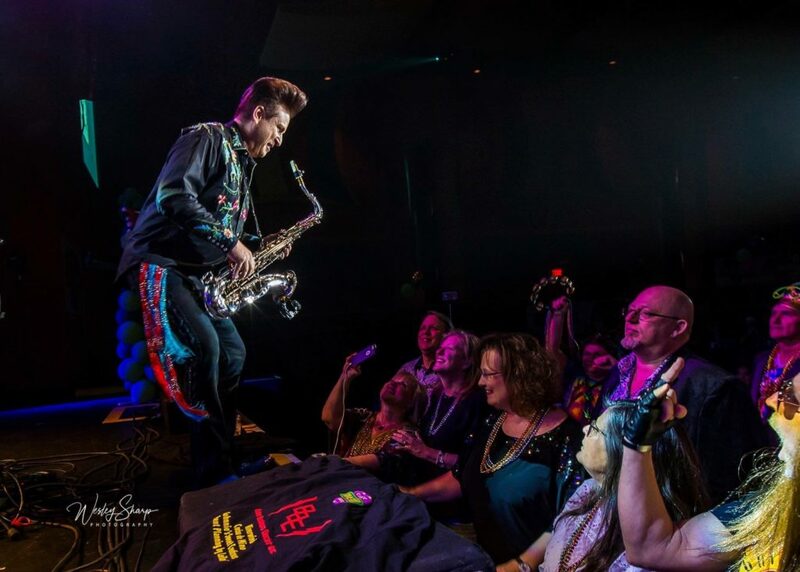 With over 30 years of stage and recording experience as a saxophone extraordinaire, piano player, vocalist, and master of ceremonies, he really knows how to entertain an audience with music, whether it’s 30 guests at a cocktail soiree or an exclusive black tie dinner party of 500. A touch of sax is just the right mixture of music, professionalism, quality, and showmanship for your special event.